The movers and shakers of the future recently had their own business event thanks to Haringey Council’s Tottenham Charter initiative. As part of Global Entrepreneurship Week 25 business students from Haringey Sixth Form College enjoyed a day at the 639, Enterprise Centre in Tottenham High Road joining in talks and workshops teaching them how to start a business, run a business and develop business skills. 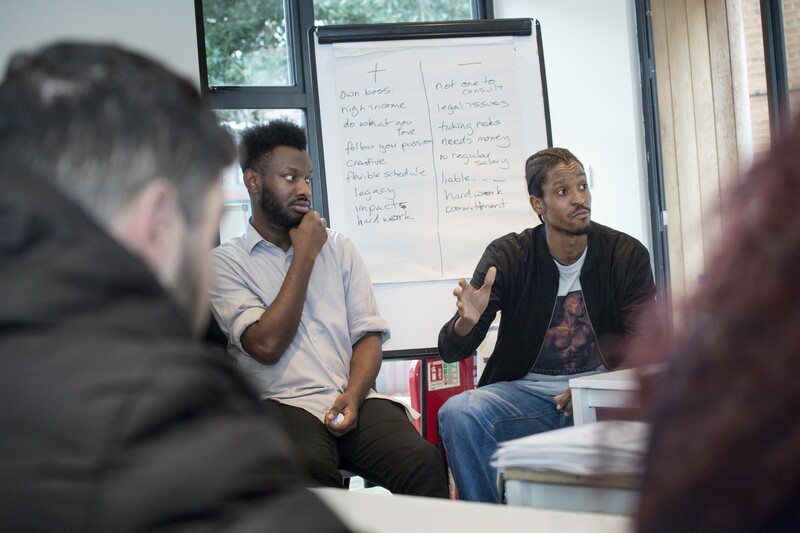 The event was organised as part of the council’s Tottenham Charter initiative, which brings businesses, developers and partners together to share their skills, experiences and opportunities with young people in Tottenham. Besides presentations from experts in their field, the business students interviewed a panel of young entrepreneurs, took part in a lively Q&A session and joined the business networking session. The event was sponsored by The Trampery, which provides workspaces and manages the 639 Enterprise Centre.